Well, it's been about two months and I'm just now getting around to writing this up. There hasn't been a whole lot of time for writing around here period. All because of said Munchkin. Between a no napping toddler and a new baby, I barely have time to get a shower in a day. Anyway, here is the short little tale along with some photos* of an adorable kid. 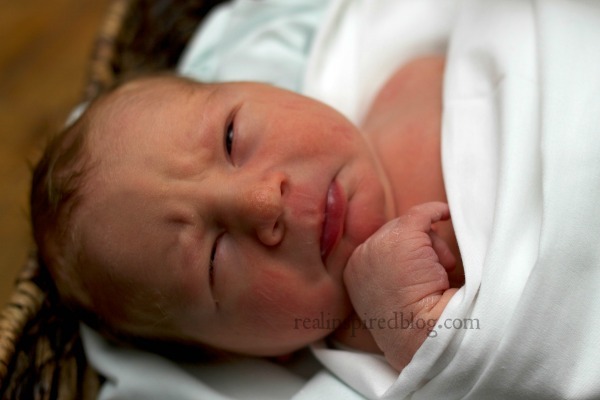 To talk about Munchkin's birth, I have to go back and give short recap of Little Man's birth. Just for perspective. Because these two births were totally different, thank goodness! With Little Man, my water broke but I never really went into early labor. After almost 12 hours of almost nothing, we went to the hospital and got hooked up to Pitocin. Once it got going, I ended up with bad back labor that made even the space between contractions excruciating. Pushing lasted about 3 hours and ended with a bad tear. Turns out he wasn't in the optimal position, hence the puttering labor, back pain, and hours of pushing. 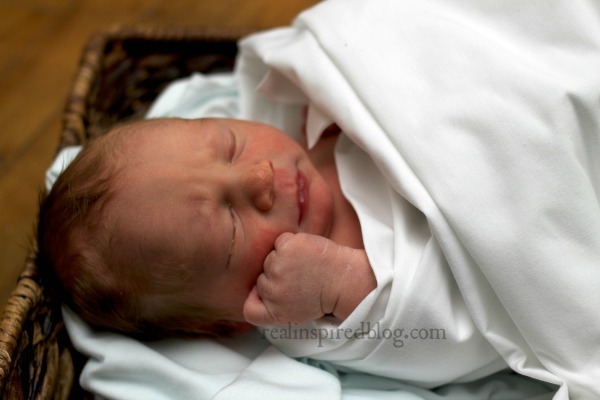 My "plan" had involved totally natural in the hospital birthing center with a midwife. I ended up in regular labor & delivery hooked up to Pitocin and a monitor. Definitely not what I had wanted. But I still got my midwife and I did it without the epidural. Both of those were important to me. I was fervently praying for a great labor this time. I was ready to walk around on my hands and knees for a month if it meant getting that baby into the best position possible. Back labor is nothing to sneeze at, folks. Munchkin's labor started out very similarly. My water broke in the middle of the night but, thankfully, this time early labor started and progressed. In the morning, I got up to make breakfast and my labor started petering off again. Scared me to death. I so did not want a repeat labor. I decided to try hiding in my bedroom and relaxing. It worked and everything picked back up again. Within an hour or two, I was in active labor. And two hours after that, we were on our way to the hospital. When we got there, I was feeling a little pushy but was told I was only at 5 cm. They proceeded to hook me up to the mandatory 20 minute baby monitor when all I wanted was the big birthing tub to sit in. Well, before those 20 minutes were up, I had a baby in my arms. I don't think I actively pushed once. He was out in a few pushes with no tearing(hallelujah!). I never even made into the tub. He was 8 pounds, 2 ounces, and 21 inches long. Just wook at dat widdle face...so cute! So there were ways that my labors were the same but, ultimately, they were very different. In all the best possible ways. And postpartum? I took months to recover the first time. This time around I had to keep reminding myself to take it easy. I am so thankful for both my boys and wouldn't trade them for the world! 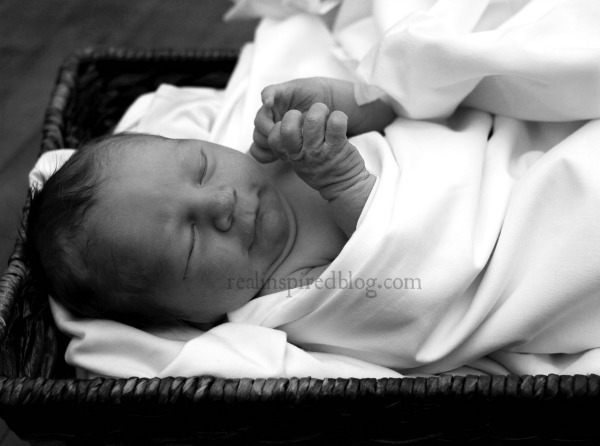 Do you have an interesting birth story to share? Or ways your birth was not what you expected, like me the first time around?